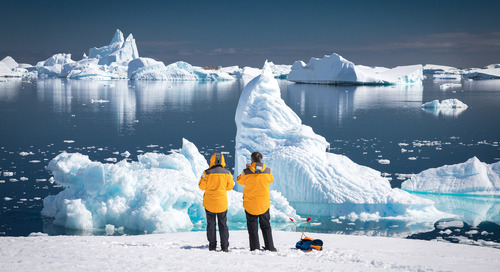 Experience first-hand the extraordinary sights, sounds, and power of Antarctica. The beauty of Antarctica is unlike anywhere else on earth. Traveling to this southern continent is an experience visitors will remember for their entire lives. 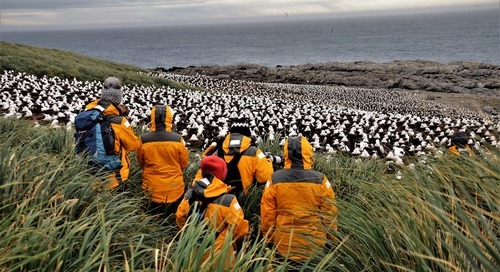 Expedition travel to the end of the world is dynamic by nature. The powerful forces that can change conditions in the Antarctic—sea ice, ocean currents, wind, waves and weather—have a beautiful quality to them that often leave people speechless. That’s what makes the place so special: its dynamism. This dynamism helps remind us that Antarctica isn’t just a standard out-and-back destination. It is a wilderness in the truest sense of the word. It has its moods, its hidden secrets, its ability to surprise and impress anyone and everyone, regardless of where they come from. Antarctica is indeed a magical place. It has capacity to move people. One of my colleagues might have said it best: “This place will change you, if you’re open to it." Part of the wonder of visiting Antarctica is getting a genuine sense for the word Power. 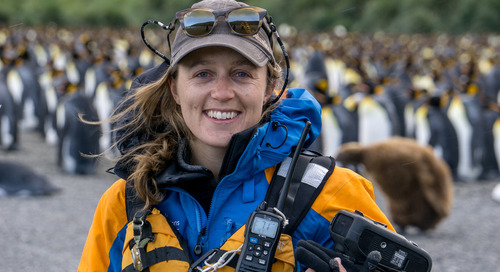 In this remote region, people begin to learn just how powerful the ocean can be when crossing the Drake Passage, how influential winds and ocean currents can be, and how these natural forces legitimately determine which corners of the Antarctic we are able to explore. These forces help us to interact with the landscape and the wildlife, to dance with this place and begin to forge a more intimate relationship with it. And, at the end of the day, I think that’s what many of us want out of our travels: authenticity, intimacy, a real experience. But with each passing season, the stars align just right, and often unseen doors open and close ever so briefly. This season in particular provided several of those open doors, and our ships, staff, and enthusiastic guests were able to fully embrace these once-in-a-lifetime opportunities. It’s impossible to describe the intense, personal feeling when cresting a remote hillside and getting your first glimpse of the largest black-browed albatross colony on earth. I don’t like comparing real experiences in the wild with those seen on nature documentaries, but our arrival at Steeple Jason was so unreal that there just aren’t many reference points to relate what we saw. More than 180,000 nesting pairs of albatross gathered together amongst the rocks and tussocks of this small western island in the Falklands. Albatross were as far as you could see up the rugged coastline, with thousands more silhouetted against the oceanic horizon. And you can just imagine what it sounded like. Absolutely zero city sounds. No traffic or engines, no airplanes overhead or police sirens. Just the wind, the waves crashing against the rocks, and more than a quarter million albatross communicating with one another at the beginning of their breeding season. This is what the natural world has always sounded like. Timeless. Steeple Jason is always challenging to access, as it is a small island fully exposed to often enormous oceanic waves. 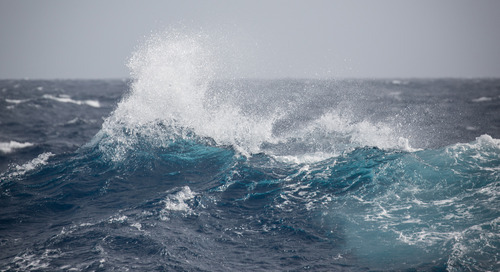 These are the same ocean swells that make the Drake Passage famous, and they find themselves crashing against the rocks at Steeple Jason, uninterrupted. On only the rarest of occasions, the moods of the ocean are just right that a safe landing in a small, somewhat protected cove are possible. In any other conditions, landfall is impossible. After our evening at Steeple Jason, our guests were amazed to learn that only one person aboard the ship—Expedition Staff, bridge officers, and crew included—had ever visited Steeple Jason before. This truly was a once-in-a-lifetime experience. The northwest corner of the Weddell Sea is notorious for sea ice. Ocean currents push nearly impenetrable sea ice northward, right up the east side of the Antarctic Peninsula, until that ice begins to dissipate in the Scotia Sea south of South Georgia. Each year, conditions are just right that some Quark voyages are able to reach the fringe of this massive flow of sea ice, a place known as Antarctic Sound, which harbors massive tabular icebergs and the famous Adelie penguin colony on Paulet Island. Just beyond Antarctic Sound, typically engulfed in this impenetrable ocean of ice, lie the Danger Islands. In March of 2018, the sea ice opened up ever so briefly, and the expertise of our Expedition Staff and bridge officers was able to capitalize on such a brief window. 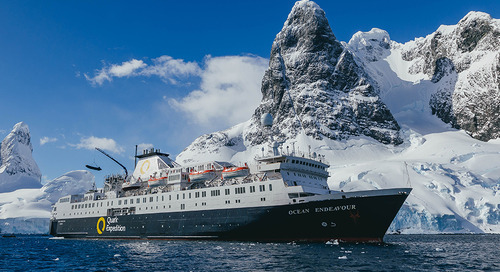 The Ocean Endeavour happened to be in the Antarctic Sound exploring the northern tip of the Peninsula, when all of the ice charts, wind forecasts, and known ocean currents aligned for a safe visit to (and safe return from) this little-known place. 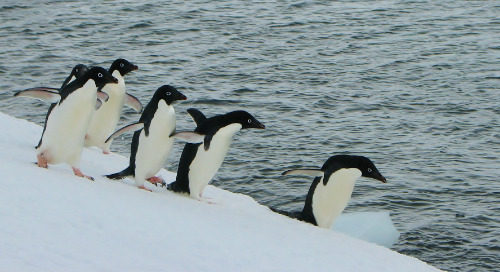 One contributing factor in setting sail for these islands was that scientists from the research organization Penguin Watch were aboard the vessel. 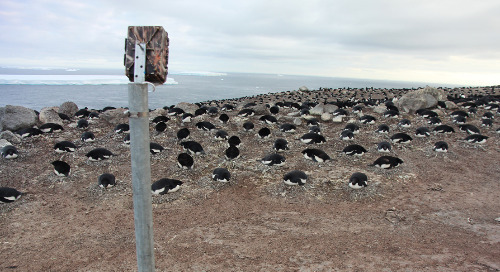 They first visited the islands for a few hours in 2015, setting up cameras to collect data that they hoped could tell them more about the 1.5 million Adelie Penguin supercolony. Fin whale sightings on one voyage, in the waters off of Elephant Island, provided a spectacular show of marine life. Approximately 100 of them—the second largest whale on earth—were exploiting the bounty of the krill-rich waters of the Southern Ocean. An event that made historic claims of “water boiling with whales” all the more vivid. Blue whale—the largest animal to have ever lived—was spotted near Livingston Island in the South Shetlands, an area visited on nearly every Quark Expeditions voyage to the Antarctic. These whales are notoriously difficult to spot, as they often remain in large, open bodies of water. A big whale in even bigger water equates to finding a needle in a haystack, and this season, one expedition was fortunate enough to find the needle. There are few wandering albatross colonies that are accessible to visitation. One of those is on Prion Island, on the northeast coast of South Georgia. Under special permit, guests were able to walk amongst these giants with three meter wingspans. The conditions at Prion Island were challenging in the morning, but the birds were worth the persistence, and we made landfall in the late afternoon to spend time with some of the largest birds on earth. The Ocean Adventurer crossed the Antarctic Circle early one morning on a December voyage, hoping to access Detaille Island, a former British Antarctic Survey hut south of the Circle. Ice conditions and the sea state prevented the ship from reaching this infrequently visited station, so we decided to explore an area that offered better protection from the seas. Finding a suitable place on the inside of a series of unnamed reefs, guests enjoyed a spectacular zodiac cruise amongst beautiful fast ice—sea ice fastened firmly to shore yet still floating at the water’s surface. Fast ice is the optimal habitat for a wide range of wildlife, and it’s somewhat rare to encounter in midsummer. The broad sheet of this wonderful wildlife platform gave guests the opportunity to come face to face with numerous Weddell seals, Adelie penguins, and snow petrels, exit the zodiacs and step onto the sea ice, and experience first hand the feeling of what it’s like to “walk on water.” In this remote corner of the wilderness, we saw scenes that likely haven’t been seen by many humans before. There’s nothing quite like walking on top of the (frozen) ocean, embracing the feeling that your eyes might very well be the first ever to gaze upon the landscape before you, breathing in the crisp air, and feeling thankful to have such a simple yet profound interaction with the wild continent. 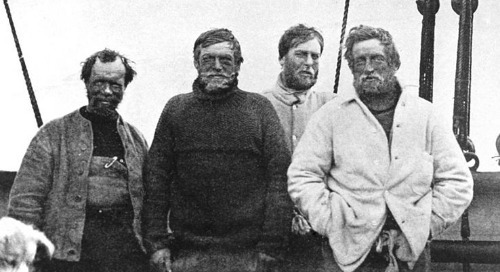 Many of the early Antarctic explorers sought access to the continent in the Weddell Sea. Although the sea ice was treacherous, the topography of the more gentle slopes in the Weddell Sea offered easier access for explorers to actually get onto and into the continent. Taking advantage of favorable ice charts, we made landfall at Camp Hill on the eastern side of the Antarctic Peninsula— truly rare event. The scenes to the Peninsula’s east are those that legendary explorers a hundred years ago encountered on their epic adventures of survival. Every voyage to Antarctica is unique, creating profound experiences and memories that will no doubt last lifetimes. That first sighting of the continent. That moment spent introspectively, watching a penguin tend its nest or feed its chick. That first encounter with a whale, surrounded by icebergs. Every voyage has a life of its own, and that’s why expedition travel to the polar regions is such a great way to have authentic experiences. Whether discoveries of new penguin colonies, or discoveries of a more personal nature, the power of Antarctica no doubt has the capacity to move us—if we’re open to it. Looking to find your once-in-a-lifetime moment in Antarctica? Travel with us in the 2018/2019 season to this great polar wilderness. Daven is a professional guide, writer, and freelance film maker who feels most at home in wild places. He has guided on more than 40 polar expeditions in the Antarctic, Greenland, Arctic Canada, and Alaska, and has a strong admiration for the people who call these wild lands home. Daven studied political science and ecology in university, and he believes in the power of a good story. He’s worked six amazing seasons for Quark Expeditions and always carries a deep excitement and reverence for the wild lands we explore. Looking for a different type of Christmas experience? 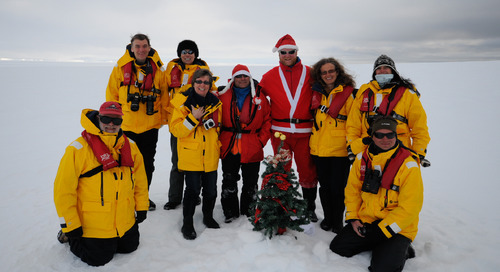 These four friends spent Christmas in Antarctica and shared their holiday expedition story. 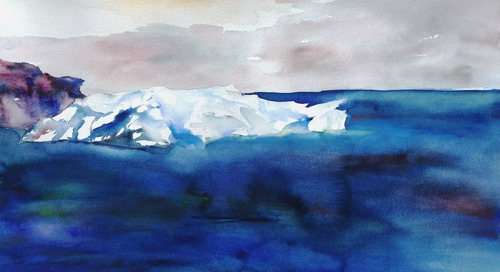 American artist Lisa Goren relives her travels to the polar regions in each of her visually stunning iceberg watercolours on canvas. 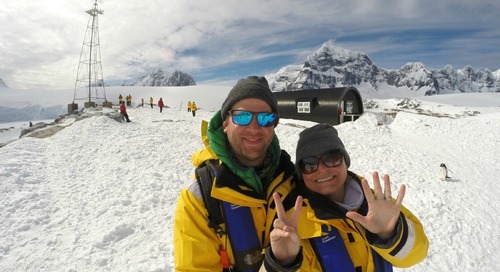 Harry and Audrey, better known as The Budget Savvy Travelers, share their 7th continent story and video from their recent Antarctic adventure. 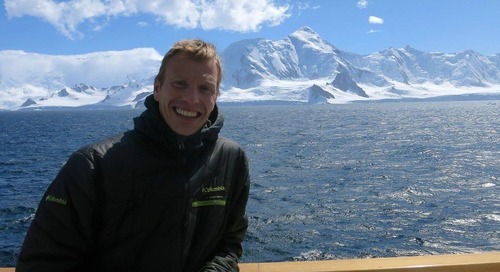 Adventure travel specialist Nick Mitchell shares his polar expedition story and the experience of traveling aboard Ocean Endeavour, the only health and wellness focused ship in Antarctica. 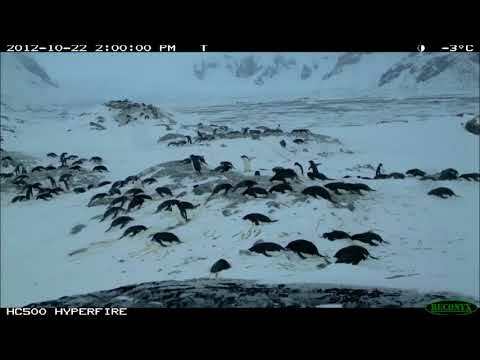 Scientists have developed a new, non-invasive way to track penguins around Antarctica. See what they’ve discovered in feather samples collected on their recent expeditions. 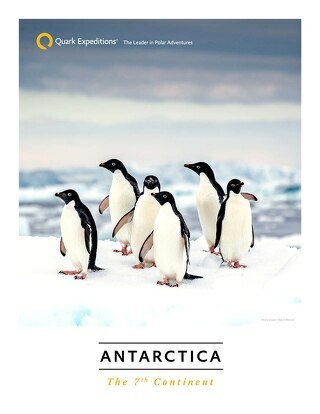 Thinking of making your dream to visit the 7th continent come true? 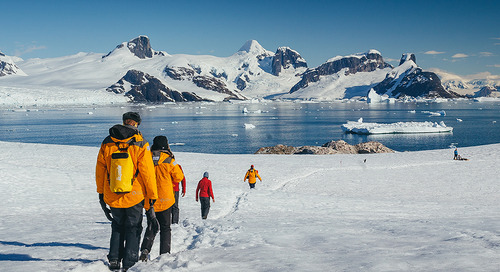 Learn where to go in Antarctica, when to visit for the best experience, and how to make the most of your Antarctic adventure. Am I going to get seasick crossing the Drake Passage, and will it ruin my trip? 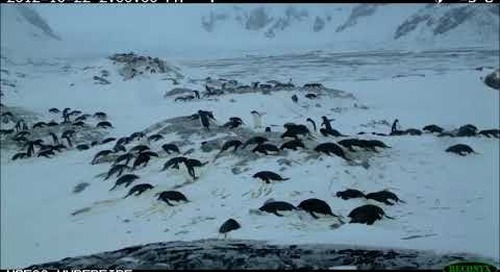 The Drake causes more pre-trip anxiety than any other aspect of an Antarctic expedition. Here’s what to expect.